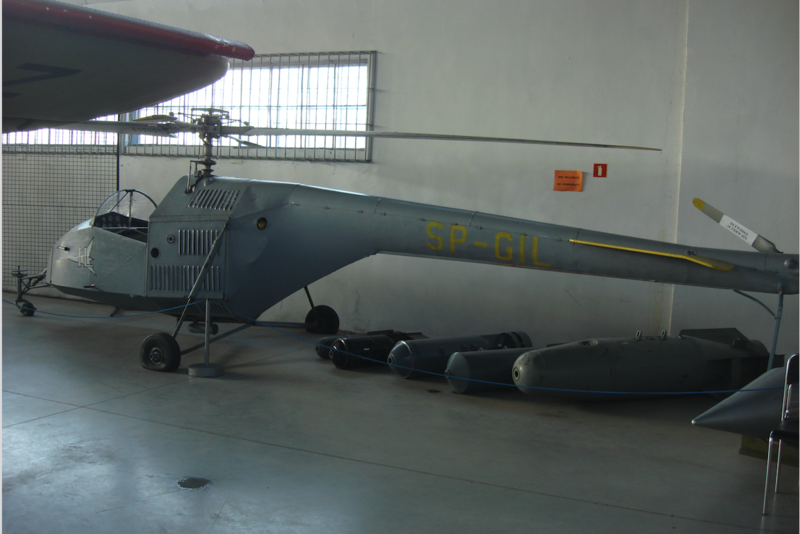 GIL helicopter was the first experimental Polish helicopter. In 1948, the idea of building a helicopter was put forward by doctor engineer Zbigniew Brzoska, who was the boss of the endurance and aerodynamic department at the Main Aviation Institute in Warsaw. The program was not started immediately. The national administration believed that the construction of a helicopter is a luxury that our country can not afford after war damage. They proposed reconstruction of classical aviation. The proposal of doctor engineer Zbigniew Brzoska was not bad. The new aviation technique, in the form of helicopters, was already used in the USA and Germania. After the Second World War, helicopters were built in France, the UK and CCCP. 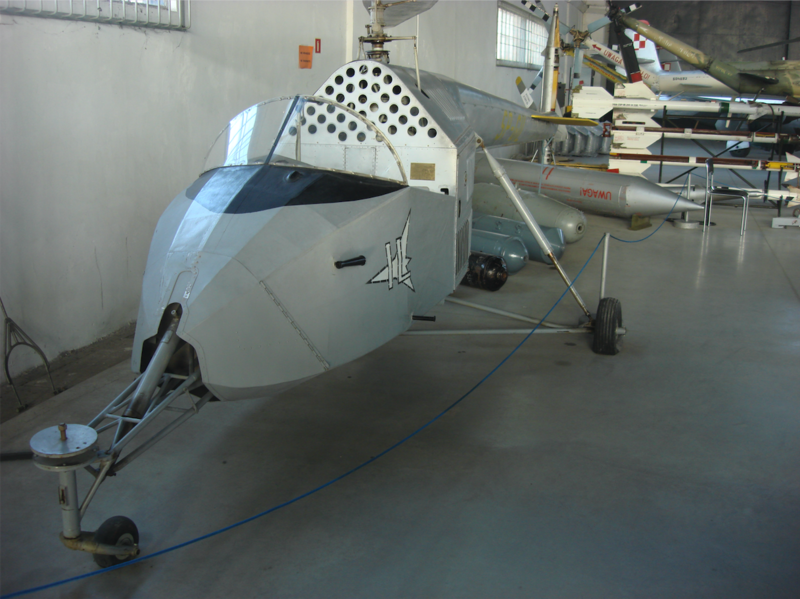 The director of the Main Institute of Aviation, professor doctor engineer Władysław Fiszdon, convinced the state administration that allowed the program to start. The helicopter program was a novelty for Polish constructors who first learned about helicopter flight theory. Boss Zbigniew Brzoski took the counter-trainers: Bronisław Żurakowski, Tadeusz Chyliński, Zdzisław Brodzki and Jan Kornfeld-Kornacki. The 4-cylinder, Hirth HM 504 A2 engine was used for the drive. The Germans left this and many other engines leaving Warsaw on January 17, 1945. The engine was rebuilt by engineer Zbigniew Brzoska so that the engine could work in a vertical position. The engineers built: the main planetary gear, the ventilator fan and the output to the tail propeller. The tail propeller was driven by a transmission from the Zundapp motorcycle. Wheels for the helicopter chassis were taken from the Kranich glider. Bronisław Żurakowski for the helicopter developed the main rotor modeled on the Hiller type system, named swing. The Cierva type rotor system was then beyond the technical capabilities of Poland. The helicopter prototype was built throughout 1949. The prototype of the helicopter was built by over a dozen technicians, including: Srebrzyński, Rygalski, and Tałałaj. On January 14, 1950, the helicopter was ready for testing. On April 5, 1950, three more flights of this type were made. During the fifth flight, the helicopter rose high enough that the colleagues let the helicopter go. The pilot did not control the helicopter and it was damaged. The repair lasted five weeks. The helicopter has completed several more successful flights. The helicopter was subjected to several modifications. The supporting rotor has been modernized. The chassis was rebuilt. The pilot Wiktor Pełka, who was an experimental pilot of airplanes, also participated in the flights, but he also did not pilot the helicopter earlier. Wiktor Pełka was the captain of LOT Polish Airlines. The helicopter crashed several times. Nevertheless, after each repair the structure was more mature. On November 14, 1951, the SP-GIL helicopter was officially shown to the government administration. In the summer of 1952, the helicopter was viewed by the commander of the Air Forces, Soviet General Iwan Turkiel. On July 22, 1952, the helicopter was shown in flight by the residents of Warsaw at Okęcie. 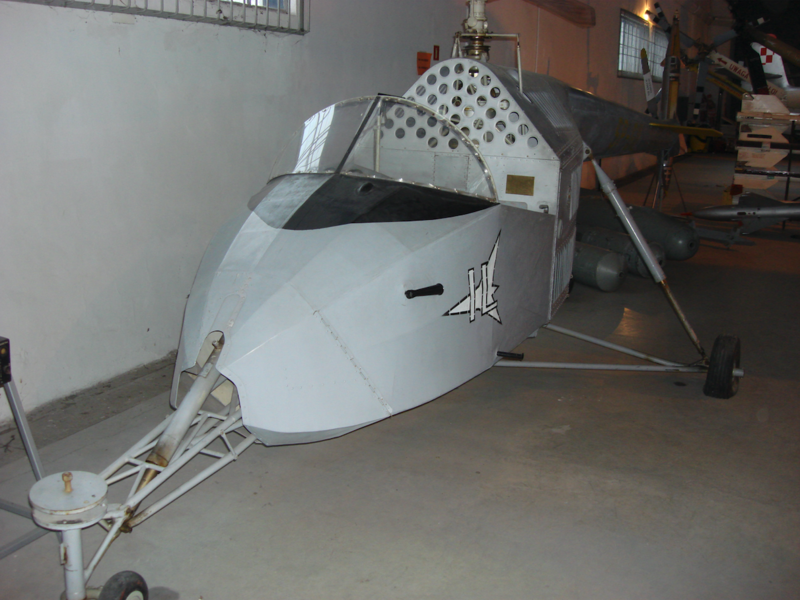 On November 16, 1953, the helicopter was damaged during the training of the new experimental pilot Andrzej Abłamowicz. The helicopter shovels the tail beam with a shovel of the carrying rotor. The helicopter was repaired but it did not receive a permit to fly. The helicopter was shown at exhibitions. For example, before the Arsenal in Warsaw. In the summer of 1954, the helicopter was put in a corner of the hangar. Technical documentation and flight test reports were destroyed. Until then, the SP-GIL helicopter made 169 flights (takeoffs) in 20 hours and 21 minutes. In December 1956, the SP-GIL helicopter, on the initiative of two pilots Ryszard Witkowski and Ryszard Śmigl, was renovated. It was pulled down to the last screw. In accordance with the recommendation of the post-commission commission from 1953, the tail beam was lowered by 10 cm. The broken parts are replaced or repaired. On November 8, 1956, Wiktor Pełka started the helicopter. After the reconstruction of the helicopter, further flights (185) were made during 12 hours and 38 minutes. 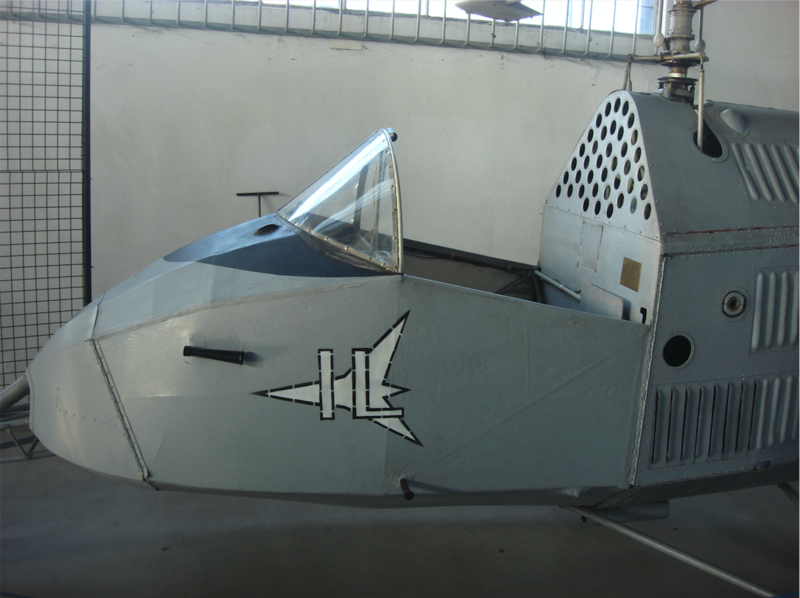 SP-GIL was piloted by: Wiktor Pełka, Ryszard Witkowski, Antoni Śmigl, and Andrzej Abłamowicz. On December 29, 1959, a passenger was on board one of the flights. On February 8, 1957, during the engine's start, the tail rotor gear from the Zundapp motorcycle was damaged. Engineers decided to transfer the helicopter for museum purposes. SP-GIL for several years stood in the entrance to the Museum of Technology NOT (Naczelna Organizacja Techniczna - Supreme Technical Organization). 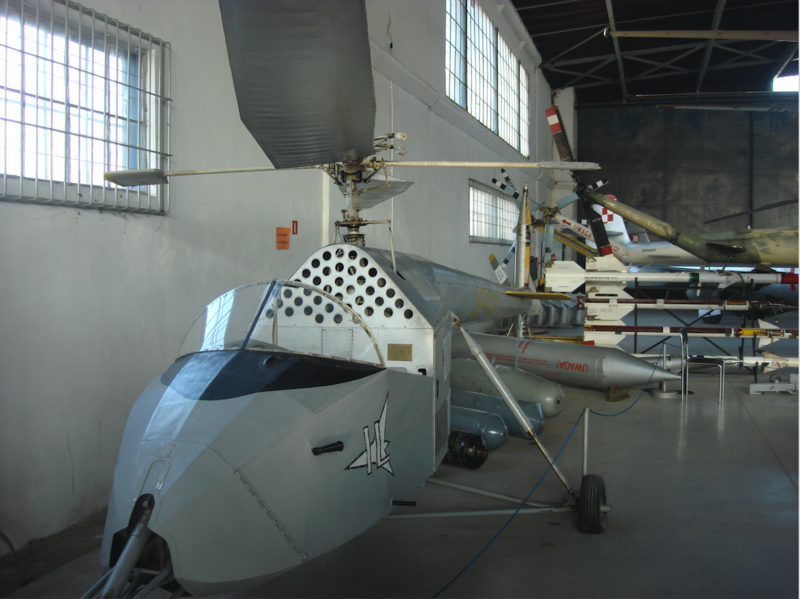 In 1974, the helicopter was transferred to the Aviation and Astronautics Museum in Krakow. Currently, it is the Polish Aviation Museum. Officially, the helicopter was marked SP-GIL and had such a registration. GIL does not mean the name of the bird, only the Main Aviation Institute (Główny Instytut Lotniczy). At the end of the 50th anniversary, the helicopter began to be called BŻ-1 from one of the constructors, Bronisław Żurakowski. In 1989, the SP-GIL helicopter was refurbished.